A composting toilet is any system that converts human waste into compost through the natural breakdown of organic matter. The photo above shows a composting toilet from the late 1800’s. Composting toilets provide a sanitary method to recycle human waste while conserving water and protecting the environment. In addition, they produce a valuable fertilizer. 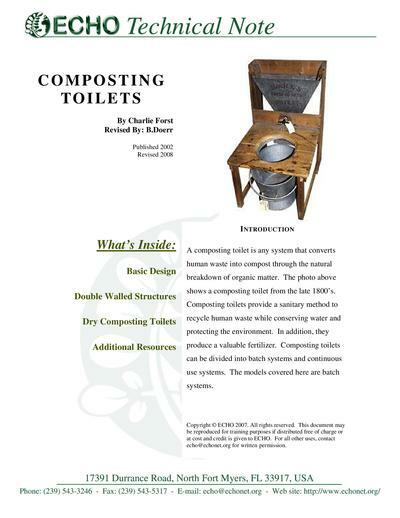 Composting toilets can be divided into batch systems and continuous use systems. The models covered here are batch systems.